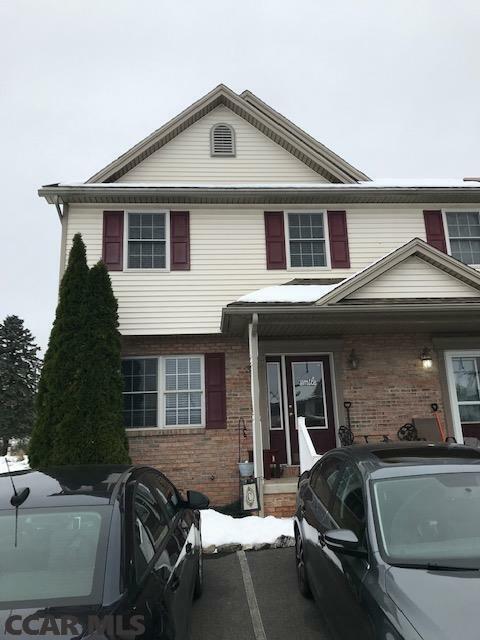 END-UNIT TOWNHOUSE, two bedroom, 2 1/2 baths plus a lower level rec room, bedroom and full bath, makes this a great space for the PSU second-home family or investors. First-time home buyers or PSU employees will find this an easy commute to State College within a minute from Milroy's Hwy322. Eat-in kitchen, half bath with laundry and living room on first floor. Kitchen appliances and washer/dryer included. HOA fee of $85/month covers trash, lawn care and exterior maintenance. 200 amp electric, heat pump, central vac are a plus to peaceful low cost living in Mifflin County. Directions: From State College, Take Route 322 To Milroy Exit. At Light, Turn Left. Right At The Y In The Road.